i am swooning right now..because one of my favesy blogger ladies has just become besties with me! well ..not exactly..but mrs. lilien (said favesy) did reach out to me to let me know that she had done a swell post on her new bedroom concept..and she included our chevron rug in the plans! 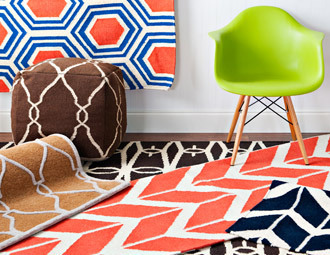 and lookee lookee she is in luck..joss and main is having a big jill rug sale TODAY!! Annnnnnnd, this MRS just ordered said favesy rug for her bedroom! Holla! !